Search is our specialty, our bread and butter Nutella. We’ve been working with Lucene, Solr, and Elasticsearch since their beginnings – 2000, 2006, and 2010, roughly. Our team members have written books covering all three of them, and have given numerous talks about search and related topics. We are looking to add an Elasticsearch and/or Solr expert to our distributed team of search consultants. We tend to work remotely with customers around the world, but there is also an opportunity to travel worldwide for those who want to travel. People who will especially enjoy this position are those who like interacting with customers (email, chat, voice, or face to face), understanding customers’ problems and requirements, those who like designing/architecting and developing scalable, highly available, fault-tolerant systems for processing large volumes of data and queries. This position is also great for those who may not feel like absolute Elasticsearch or Solr experts today, but would like to work along Sematext’s experts and become one by learning from them. 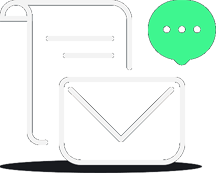 Participate in the open source community through blogging, answering questions on mailing lists, providing fixes and improvements when possible, etc. This position is open to candidates in North or South America, although truly exceptional individuals from other corners of the planet will be considered, too.